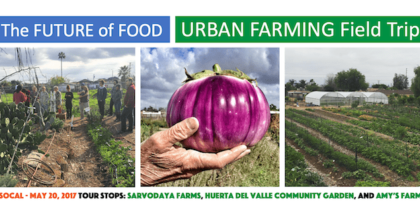 Urban agriculture ventures of all different stripes – from commercial hydroponic enterprises and rooftop aeroponic farms to community gardens planted atop formerly vacant lots – are not only disrupting the food system, but also generating community and economic capital. 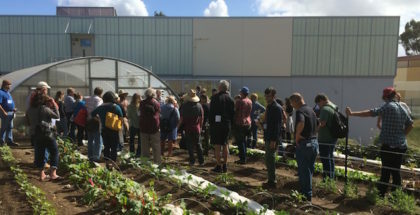 To give you an up close and personal look at a series of innovative urban farming operations that have emerged to tackle challenges to food access, meet marketplace demand for local food, and increase food security, Seedstock has put together the ‘Future of Food – Urban Ag Field Trip’. 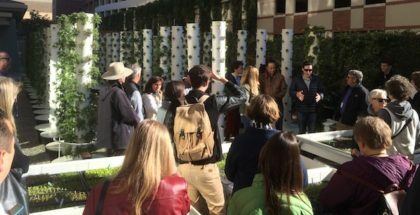 Slated for Friday, January 27, 2017, the field trip will look at the community and economic development potential of urban farming. 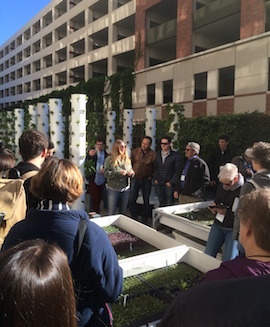 Tour stops include the USC Teaching Garden, Local Roots Farms, and The Growing Experience. Fox Farm is an urban farm location at Hapemen Ranch, a 2.5 acre orchard with 75 various fruit tree. This farm is completely surrounded by houses and located in the heart of Riverside CA. Farmer Scott Berndt has cultivated about a 1/3 of an acre of vegetables, which he provides to local restaurants in Riverside as well as to the Riverside Unified School District through its Farm-to-School program. Scott’s goals are to bring a full acre into production, growing various kinds of vegetables that are needed for RUSD and local restaurants. His biggest challenge is growing enough variety to supply restaurants with their entire menu of produce. Scott’s goal is to acquire and install a walk in cooler on the farm, and grow what he can for restaurants and RUSD. He plans to source the items he does not have available from other local farms, and provide a one stop place for local chefs and restaurant owners to pick up produce rather than have to visit 2-3 farms for their needs. Scott is currently raising funds to try to obtain a Kiva Zip loan for a walk in cooler. His funding campaign expires in just 7 days and he is 86% funded. Starting today, a benefactor has opted to match the dollars of any loan. That means with $700 left to be funded, a minimum $25 loan from you is worth $50! Only 14 lenders at the $25 level secures the project! Only 7 lenders at $50! Be proud, this is how real change happens, at the grassroots. We can do this, you can help! Creating a vibrant local food system requires that cities explore how to develop new markets for their local farmers, foster entrepreneurship and innovation as it relates to the production of food and encourage responsible and sustainable farming that benefits community, economy and environment. The development of effective food policy that advances agricultural economic development and infrastructure and fosters education about food and urban farming is also essential. 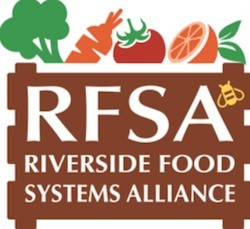 Expert speakers set to participate in the 2nd Annual GrowRIVERSIDE Conference: The Future of Local Food will dive deeply into all of the above mentioned areas, and more, to come up with solutions designed to guide Riverside and cities across the country in the development of vibrant and sustainable local food systems. The conference begins in TOMORROW on June 11, 2015 at The Riverside Convention Center in Riverside, California. This session will provide prospective and existing entrepreneurs with insight into how to get their businesses off the ground via an explanation of core business creation steps – from business planning, accessing capital, marketing, sales, and more. Paul Smith, Business Development Specialist for the U.S. Small Business Administration, will lead a breakout session at GrowRIVERSIDE focused on helping food entrepreneurs build their businesses. 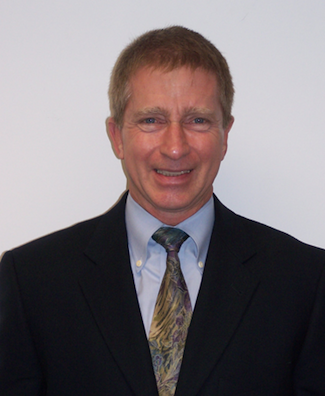 Paul Smith is an accomplished professional with twenty-five years experience in business development. His career encompasses both the private and public sectors. 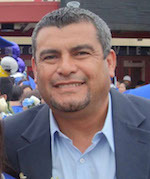 His experience includes sales management, direct marketing, export promotion, and matchmaking, for markets worldwide. As Business Development Specialist for the U.S. Small Business Administration Mr. Smith is responsible for outreach to the business community for the Santa Ana District office. There are only 10 days left until the conference and tickets are going fast, so register now to attend this session and learn how to give your local food-focused business the best chance for success! If you’re looking for more information on the 2016 3rd Annual GrowRIVERSIDE Conference: Cultivating the Future, you can find out more about the program here and register here! To build a strong local food system cities must examine how to increase food access to citizens living in food deserts in need of fresh and healthy food. The development of effective food policy that advances agricultural economic development and infrastructure and fosters education about food and urban farming is also essential. So too is support for the development and start-up of new local food-focused business ventures. Expert speakers set to participate in the 2nd Annual GrowRIVERSIDE Conference: The Future of Local Food will dive deeply into all of the above mentioned areas, and more, to come up with solutions designed to guide Riverside and cities across the country in the development of vibrant and sustainable local food systems. 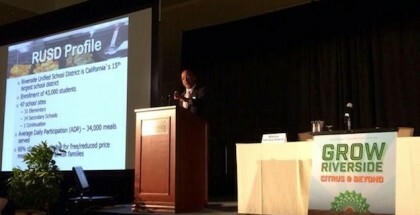 The conference begins in only 12 days on June 11, 2015 at The Riverside Convention Center in Riverside, California.